The parable in today’s Gospel is one that can be so familiar to us that we zone out halfway through reading or hearing it. (Matthew 13:18-23) But let’s take a closer look. We know that the Sower is God, and we are the seeds. The Lord’s intent is that we grow and mature into strong plants that yield fruit for the Kingdom. But the ground in which we are sown plays an important role. In Jesus’ first example, the seed is sown on a path. Perhaps we encounter a Church teaching we have a difficult time comprehending or we feel a call from the Lord that intimidates us. We hear the Word of God but don’t understand it, and the Evil One comes running down the path to kick away what was sown. In the case of the seed sown on rocky ground, we hear the Good News and are delighted by it. But we don’t have space for roots. Perhaps we have recently entered the Church with fervor, but pushback from family members is discouraging, or we suffer a loss and hand ourselves over to despair. As soon as something difficult arises in our lives, we wither. Next is the seed sown in the thorns. We encounter the Lord, but there is so much junk in our lives that we can’t keep sight of Him. Habitual sin, financial stress, and broken relationships threaten to steal the peace He planted in our hearts. We get wrapped in the thorns of worry, materialism, and false security. Finally, there is the seed sown in rich soil. This is the goal. We want to hear the Word of God, understand it, receive it with joy and trust, and bear bushels of beautiful fruit. Sisters, each of us has been all four seeds. We’ve withered and we’ve flowered. So what can we do to ensure that the Word of the Lord is sown in the fertile soil of our hearts every time we hear it? We can water our souls with Scripture daily. We can receive the nourishment of the Sacraments. We can expand our knowledge of the Faith and root our minds deeply in Church Tradition. We can invest in Godly community to support us as we grow. We can weed out sin and vice. 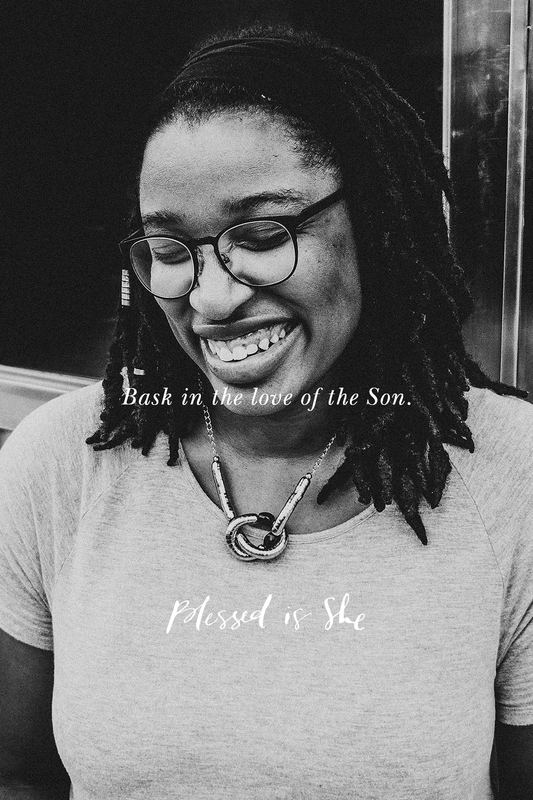 We can joyfully bask in the love of the Son. Let’s pray and labor for a fruitful harvest of our lives. Olivia Spears lives in Kentucky where sweet tea and bourbon flow like milk and honey. She is the Blog Manager for Blessed is She and works from home as an editor and social media manager. She likes to binge novels and Netflix while raising her children and laughing with her husband. You can find out more about her here. Wonderful reflection on the Gospel. Thank you so much for breaking it down, and really focusing our attention the message of the Gospel. I truly had glossed over it. Once I carefully read your reflection, I went back and reread the Gospel. I can’t believe how much I missed the first time. Thank you!